You want to get paid more money from your job? If the answer is yes, than you have to know how to ask for a pay raise. Despite working a few years, a lot of people still failed to ask for a raise. That usually happens when we are facing the boss (employer) in an emotional state, lack of preparation and information. That combination will always make the negotiations failed and ended in frustration. But don't you worry, Tips & Tricks will give you tips to successfully ask for a raise. This information includes, how the current financial condition of the company and whether the company is able to raise the salaries of their employee. 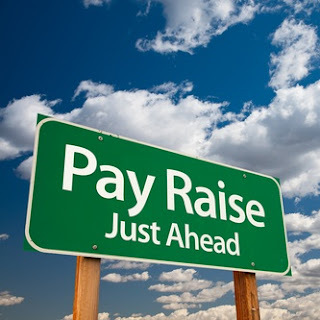 If possible, you can also seek for the percentage of the wage increase. You could do a small survey to get more information or even talk to someone in human resources. Additionally, research how you are rated by your company, in the sense that if your position can be easily replaced by other people with the same skills but with less salary. But if your company in trouble or already over budget because of recession, cut-backs, or any other reasons, you might want to postpone your request later. Once you’ve found out and decided how much wage increase that you want, stop for a while and take the time to prepare your action. First, you must practice before you negotiating with your boss, highlights the key talk you want to talk. You can practice with your friend or family member and visualize what sort of response you get from your boss. The more often you prepare, you will become less anxious when you deal with the real scenario. Secondly, make a list of your achievement that will shows your worth / value and provides an objective basis for your wage demands. Your achievement should already known and you only need to remind your boss verbally, but you could also write that down and present it to your boss. Thirdly, find a time and place that allows you and your boss to negotiate as comfortable as possible. Don't held negotiation while your boss is being pursued by deadline report or when the company is being audited. Present yourself well, maintain your confidence, stay positive and don't be nervous. When you finally meet your boss, you must express your intention politely and clearly. If he / she agreed to raise your wage, congratulations. But if your boss postponed the decision and need to think abour your salary rise request, you can ask a future discussion with him / her for final decision. And lastly if your company failed to meet your salary wage demand, you have to consider their reason and be pragmatic. If you want higher salary than your company is willing to pay, maybe you should consider other job position (with the current company or move elsewhere). But before you do this, think this carefully.